SKU: 403CS. Listed in: Halloween, Horror, Makeup, Makeup. 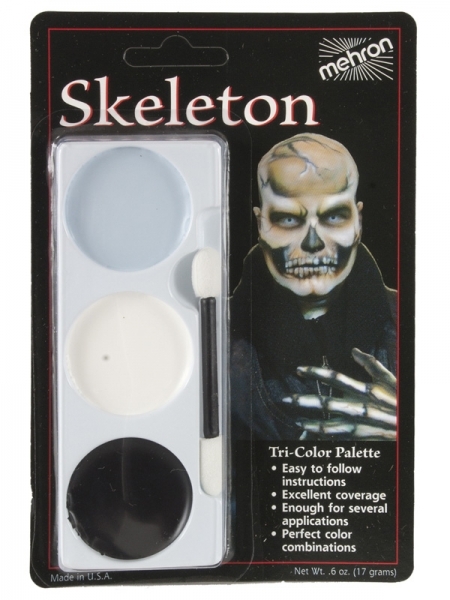 Tags: Horror, Makeup, Skeleton. 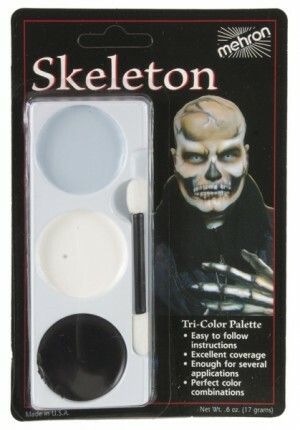 Tri Colour maukep Palette for a Skeleton. Grease paint makeup made by Mehron. Great makeup ideal for a Horror style event.